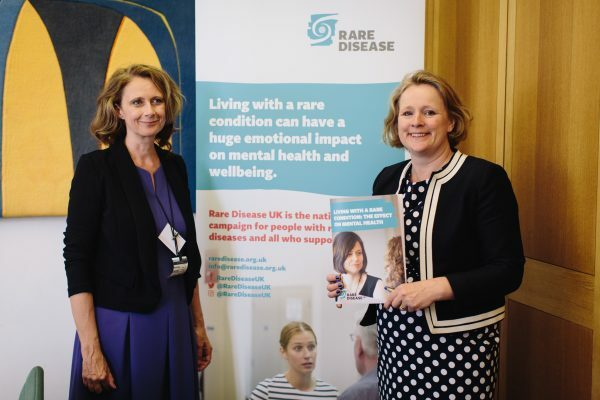 Wednesday 9 May saw the launch of our report on the mental health impact of living with a rare disease. 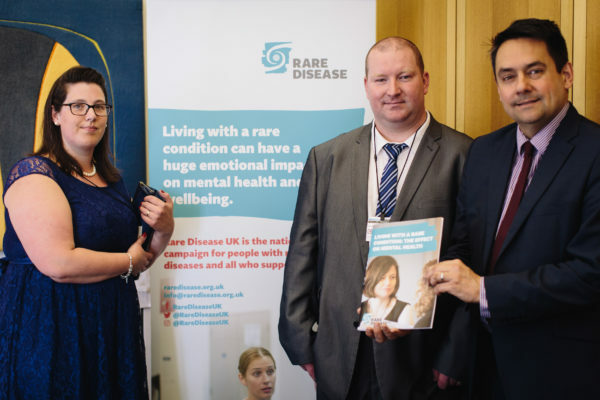 This work evolved from an inquiry conducted by the All Party Parliamentary Group (APPG) on Rare, Genetic and Undiagnosed Conditions, which identified mental health as a key issue facing rare disease patients and carers. In a drop in session, hosted by APPG co-chairs Vicky Ford MP and Stephen Twigg MP, we spoke to a number of MPs about the findings of the report. Almost all patients and carers living with a rare condition reported feeling anxious, stressed and low. Alarmingly, a significant number of patients and carers reported having suicidal thoughts (36% of patients and 19% of carers). 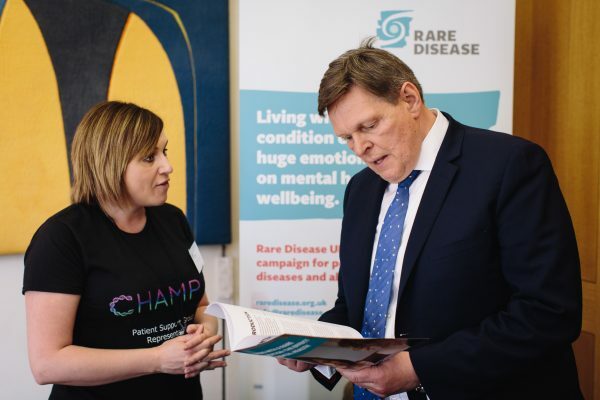 Parliamentarians also had the opportunity to speak with both patients and carers about the effect rare conditions can have on mental health. ‘It was fantastic meeting up with everyone at Genetic Alliance UK, raising the issue of mental health among carers. It was also great meeting my local MP to highlight our own experience of rare disease to him, and to the other MPs’. The report was also presented to the Minister for Health and Social Care Steve Brine MP who helped to raise awareness of this important issue. We would like to thank all the rare disease patients and carers who participated in this research to help produce this report. We will now work with health departments to ensure our recommendations are put in place. Photo credit: Hermione McCosh/ Genetic Alliance UK.